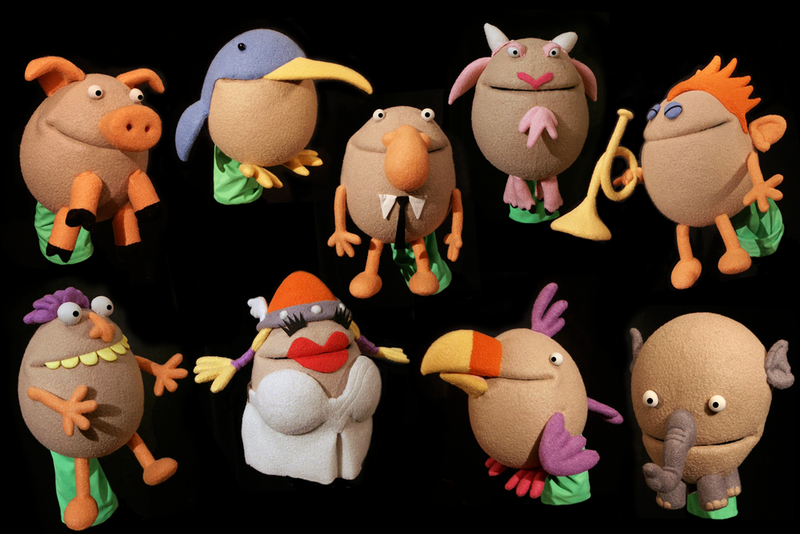 Puppets called “The Schmuzzies" and additional characters were designed and built by Puppet Heap for The Upside Down Show, a live action daytime children's show featuring Shane Dundas and David Collins, a.k.a The Umbilical Brothers. The show aired on Noggin, Nick Jr. Australia, and on ABC. Designs for The Upside Down Show characters by Paul Andrejco. The Umbilical Brothers, Mrs. Foil, and Puppet on the set of The Upside Down Show. Design for Puppet (left) by Paul Andrejco. Completed puppet (right).